For vehicles & equipment of any size. Professional towing service always ready to help. Our large fleet means we have a tow truck near you now. capable of towing vehicles and equipment of any size or weight. Swift, on-time light duty wrecker & flatbed towing for all cars, light trucks, vans & SUVs. Fast, professional towing for all medium duty vehicles including box trucks, cargo vans, fleet vehicles & more. Chicagoland’s Heavy Duty Towing Pros. From mobile roadside repair to load shifts & transfers to off-road recovery. We do it all. We provide 24 hour roadside assistance including battery jump starts, flat tire changes, locked vehicle services, fuel & air delivery and more. Our expert truck mechanics provide mobile truck repairs in a pinch, throughout Chicagoland. We have the experience & equipment for timely, safe and secure load shifts, transfers, cleanup or storage. 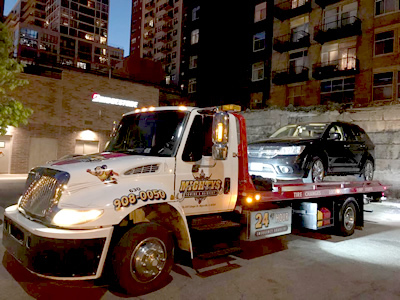 At Mighty’s Towing and Recovery, we are committed to providing you with a complete range of professional towing services for all your light, medium, and heavy duty towing and recovery needs. 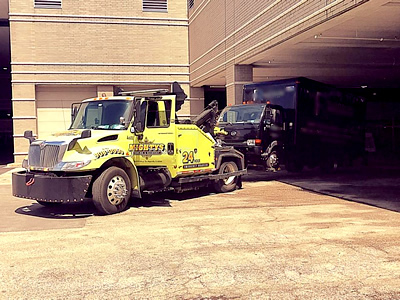 Our experienced team of elite tow truck drivers provides service throughout the Chicagoland area using our central dispatch system, which ensures an average response time of 20 minutes or less. Our many services include 24/7 roadside assistance, vehicle lockout services, battery jump starts, gas & diesel fuel deliveries, tire changes, winching and much much more. Our large fleet of tow trucks consists of well-equipped vehicles in a wide range of sizes, capable of towing vehicles and equipment of any size or weight. We are proud to network with multiple leading road service programs,coming to the aid of stranded motorists throughout the Northern Illinois area. Call us now or leave a message on our Contact Us page and let the professional, courteous staff at Mighty’s Towing and Recovery help you today! These guys are great! Fast, efficient and fair. I use Mighty's on my fleet and they haven't let me down. Very knowledgeable about trucks. There hasn't been a breakdown yet that they haven't been able to fix! These guys are great. Cut the truck to size and loaded the heavy equipment. They got me in and out fast as hell! Elite tow truck professionals are standing by to assist you. 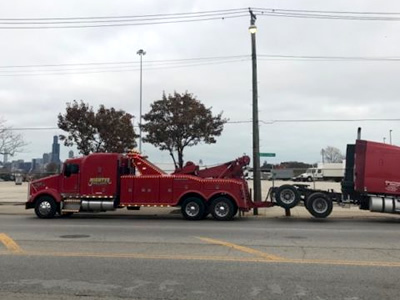 We are the towing company Chicagoland calls when they need help with their medium and heavy duty trucks. We have the tow trucks and equipment to handle any heavy duty predicament you find your truck in. From semi tractor trailer towing to bridge recovery to mobile roadside repair for any truck make or model. 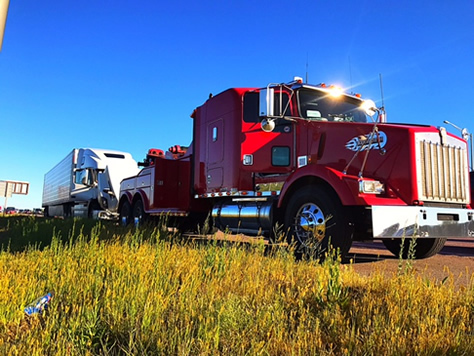 With over 30 years experience providing towing and mobile truck repair in the local area, our team of certified highly trained heavy duty operators is recognized as one of the elite truck towing units throughout Northern and Central Illinois. Mighty’s Towing & Recovery Inc.
Mighty’s Heavy Duty Towing & Recovery Inc.
Mightys Towing & Recovery Inc.